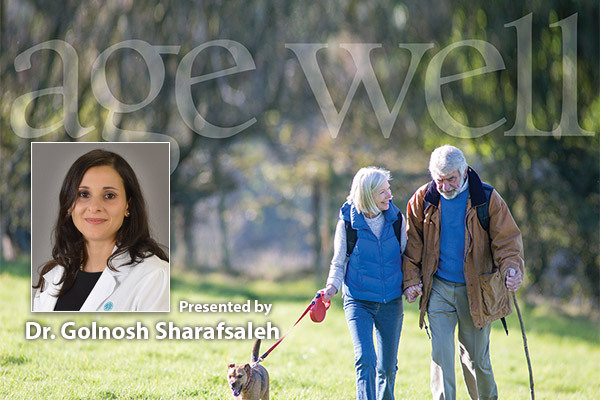 Webinar Explores Aging Well, Maintaining a Healthy Body & Mind - Grace Ridge Retirement Community - Morganton, N.C.
As director of the Geriatric Medicine Fellowship Program at Carolinas HealthCare System Blue Ridge, Dr. Sharafsaleh is dedicated to transforming the delivery of health care for older adults. The geriatric medicine and preventative care specialist shared her expertise on health promotion and preservation during a presentation on Nov. 13 at Grace Ridge Retirement Community. Dr. Sharafsaleh discussed health issues that affect older adults and ways to age gracefully and live a longer and healthier retirement. Topics included: chronic disease, depression, preventative care, immunizations and screenings, vision and hearing loss, nutrition, dietary supplements, falls and physical activity.